The Home Office is trying to separate some great-grandparents from their British family by forcing them to return to Iran. Mozaffar Saberi and Rezvan Habibimarand, who are 83 and 73 years old respectively, have been living in Edinburgh since 1978 when they bought a flat together and are extremely close to their tight-knit family. 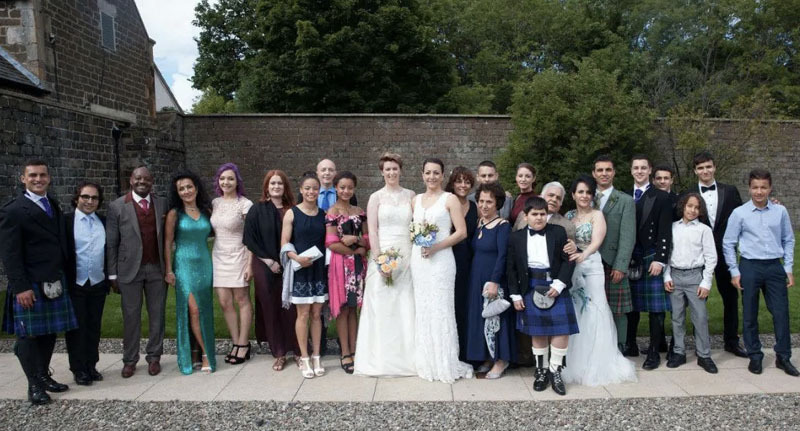 Between them, they have four children, 11 grandchildren and a great-grandchild who, if they were made to leave the country, would feel their absence heavily. This is because the family are dependent on each other; not only do the couple’s children support them daily, but Mozaffar and Rezvan act as co-parents to one of their grandchildren. As reported by the Guardian, the teenage boy has severe autism and requires constant supervision, which his grandparents help with on a day-to-day basis to enable his mum – a single parent – to continue working as an NHS nurse. Without their constant support, it’s unlikely the boy’s mum would be able to continue working. Not only that, but separating the teenager from his grandparents would have an extremely detrimental effect on both him and his mother, according to a chartered psychologist who has written a report provided to the Home Office. 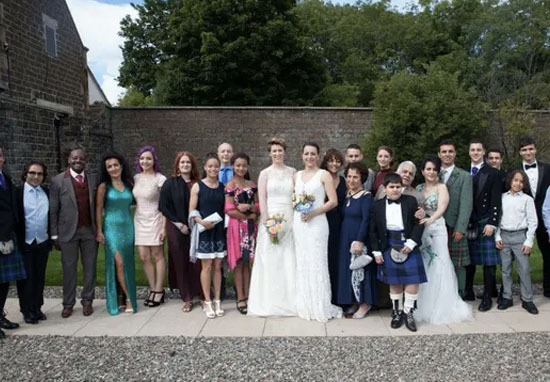 Rezvan spoke to the Guardian about what this decision means for them as a family, saying it would be both ‘physically and emotionally’ the end for the couple. Going back to Iran would be the end for us. We have so many illnesses that it would not just be physically the end for us, because there is not the level of healthcare we need in Iran, but emotionally the end too: there’s no one in Iran for us to go back to. The couple have made repeated human rights applications to remain in the UK since 2013 but the Home Office has refused all of them. Navid Saberi, the couple’s son, said sending his parents back to Iran would be a ‘death sentence’ and would cause the couple much ‘distress’. With no exaggeration, sending them back to Iran would be a death sentence. The day-to-day help and support my siblings and I give our parents isn’t available to be purchased in Iran, even if we could somehow get the necessary money into the country – which is not at all guaranteed because of the sanctions. The distress of having to live alone would mean my parents’ end would come very soon. Mozaffar and Rezvan raised all of their children in the UK, but never sought British citizenship. Because they originally came to the UK as visitors and then made a human rights claim to remain, it’s highly likely that any future visit visas would be refused. Which ultimately means that, if the great-grandparents do get sent to Iran, they may never see their family again. The consequence is that they would be unable to see their family again unless the family all travelled to Iran to see them. That comes with its own problems, especially for their autistic grandson. Prior to July 2012, the couple would have been granted visas as their acute need of emotional, physical or even financial support from their UK-based adult children would have been taken into consideration. However, Theresa May, who was home secretary at the time, then introduced sweeping changes to the immigration rules to ‘reduce net migration’ to the UK – meaning it is now ‘almost impossible’ for British citizens to bring their adult parents in to the UK to live with them. The consequence of this tightening is that it has become almost impossible for any British citizen or settled person to bring their adult parents in to the UK to live with them. The criteria that have to be satisfied are so severe that I have yet to meet anyone who has been able to meet them. The couple’s upcoming appeal is based on the claim that the Home Office has failed to properly take into consideration the best interests of the autistic child and has never spoken to any member of the family. It also claims the Home Office has found grounds for refusal by equating the couple’s old age with an inability to act as co-parents to the child on an emotional level. Their final appeal to remain in the UK is due to be heard soon.